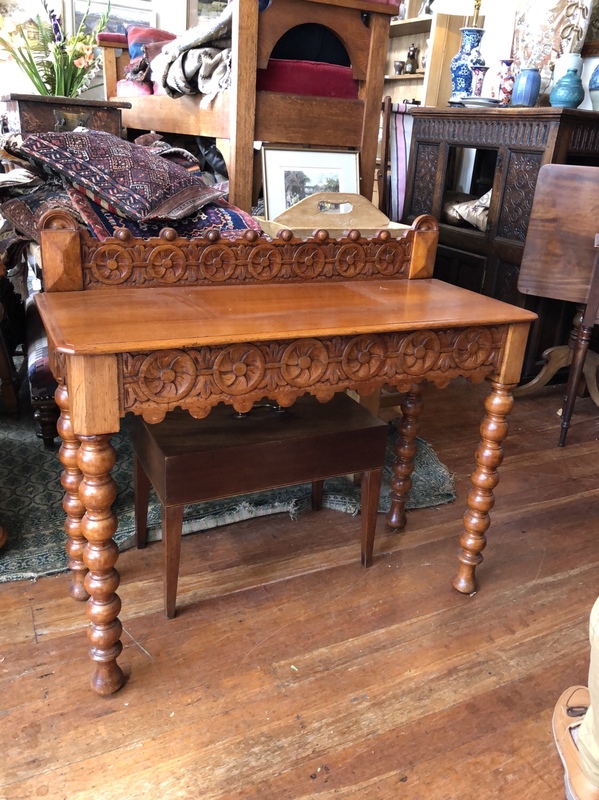 A gothic side table in oak, having a carved back stand and frieze. 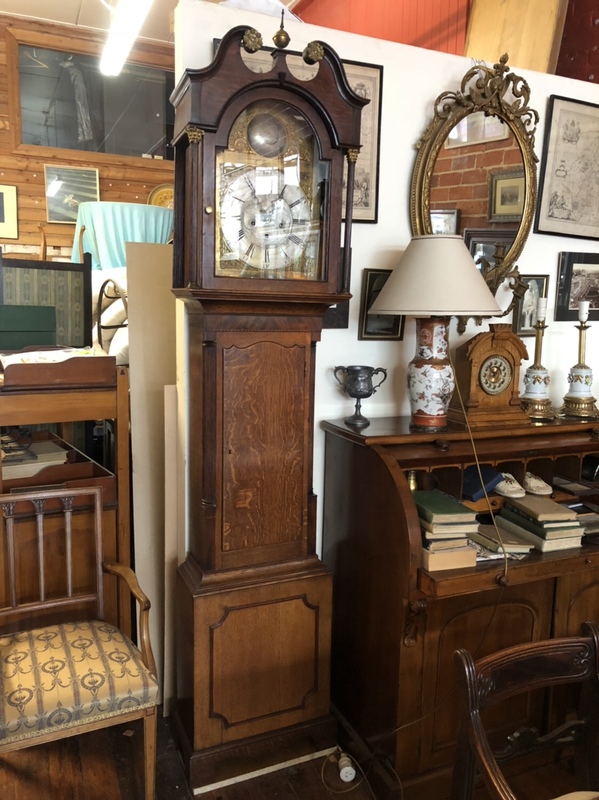 A longcase clock in oak, having a swan neck pediment and a brass face. 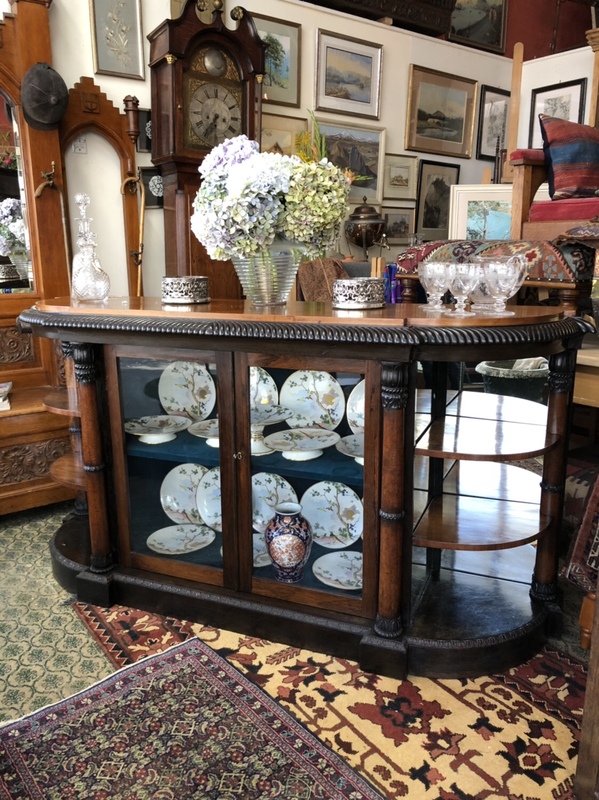 A glazed door Credenza showcase in rosewood and ebony with amboyna columns having an impressive ebony gadrooned top edge.